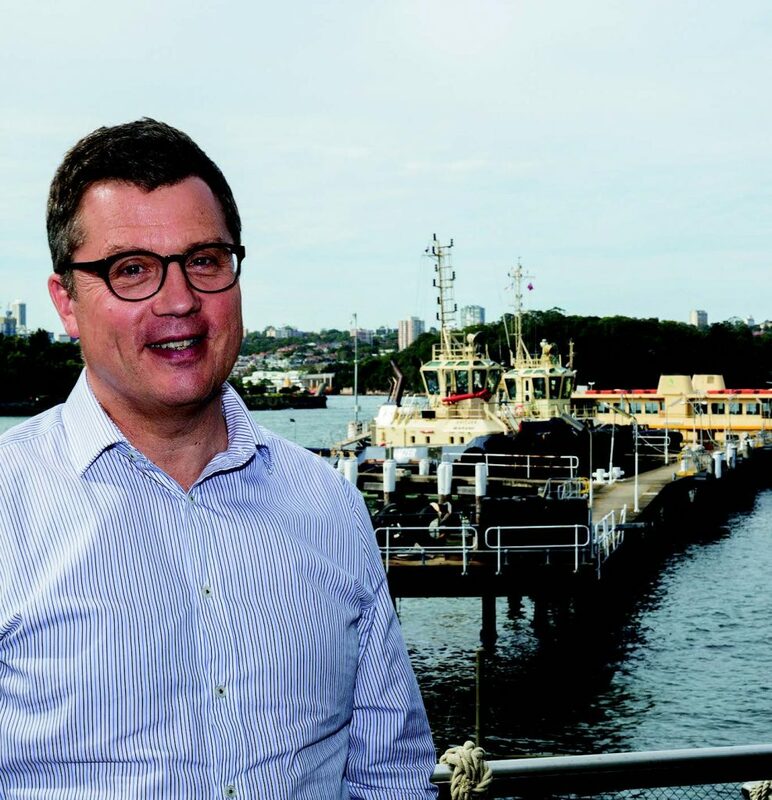 This week Svitzer Australia head of innovation David Bartnik was grilled by our intrepid reporter Ian Ackerman. They talked about parrots, choppers and the joys of eating raw fish. You’re fairly new in the head of innovation role at Svitzer. How’s it been so far? I’ve been here since early January, and it’s been great. I’m really excited about the role. It’s a little up and down, but there’s lots happening. I like the variety and getting to work with new technologies. I wanted to be a parrot – a crimson rosella, because I liked parrots. I was about three or four. But before I wanted to be a parrot, I wanted to be a chopper – a wood chopper. A bit different to a parrot. My very first job was as a builder’s labourer. I was a university student, so it was a summer job, it was three or four months. I had a lot of fun as a builder’s labourer. It would be fair to say it took a couple of weeks to get accepted by the blokes on site. One day we were wheeling around wheelbarrows full of mortar, mud for the brickies to use. I had to wheel it down from the top and the brickie was below me, and there were layers of scaffolding. I was a layer above him. I was going around a corner, and I don’t know if you know about brickies’ wheelbarrows, but they’re highly unstable, and when you have mud in them and they’re full up to the brim, if you tip even a centimetre off level, it gets harder and harder to hold it. So I was desperately trying to hold it and I couldn’t. And I tipped this load of mud on the scaffolding and of course the scaffolding leaks, and the brickie was underneath. He got this whole load of mud tipped on his head. He chased me around the site, waving his trowel “I’M GOING TO GET YOU, I’M GOING TO KILL YOU!” After that I was one of the guys and they laughed about that for weeks. After university, I wound up in the oil and gas industry in Angola where I landed in the middle of a civil war and was shot at by the army – most people who worked there got shot at one point or another. Meal of choice would probably be sushi. Or sashimi. Anything with raw fish. I love raw fish. I’m a raw food person. I like my meat raw, my fish raw, raw veggies, nothing cooked. I’ll eat it, but I prefer things raw. Well I have four kids. But, as my kids are getting older, I recently joined a bushwalking club, so I go bushwalking. You should join – Sydney Bushwalkers. Let me tell you, there are some extreme people there, too. There are some 70-year-olds who go out hiking in the Blue Mountains and they can beat me up and down hills. What’s the best advice anyone’s ever given you? If you make a mistake, tell the truth, admit it and move on. People will forgive you for your mistakes, but if you try to cover it up, that’s when you get into trouble. TELL THE TRUTH: David Bartnik.